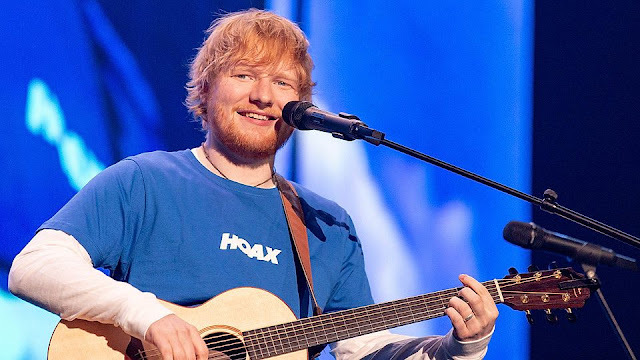 When it comes to collaborations, Ed Sheeran has 'just a few' amazing songs under this belt. Think last year's Christmas number 1, 'Perfect', with Beyoncé, 'Bloodstream' with Rudimental, 'Everything Has Changed', with Taylor Swift and of course last year's 'River' with Eminem. Now, it's been revealed that he has recorded another collaboration with two rappers and we can not wait to hear it! 'Candy Shop' rapper, 50 Cent has revealed to his fans on Twitter that he has teamed up with both Eminem AND Ed Sheeran! In less than a day, his tweet has attracted more than 22K likes, with thousands of comments being left. One fan commented, 'Noting better than 50 & Em on the same track 🔥', [sic], with another saying, '50, Em & Ed in the same track? can't wait!! '.